Are you eligible for COBRA continuation health insurance because you’re losing your job, getting divorced, newly widowed, or aging off of a parent’s job-based health insurance? Those same qualifying events also make you eligible for a special enrollment period on your state’s Obamacare health insurance exchange. Under COBRA, you'll pay the full price for your coverage on your own, regardless of your circumstances. But if you pick a plan in the exchange, you may be eligible for financial assistance that will cover part of the premium (and in some cases, part of the out-of-pocket costs too). Can I Enroll in an Individual Market Plan Instead of COBRA? Yes. You have a limited period of time after the qualifying event (losing your job or getting divorced, for example) to sign up for COBRA. The event that is causing you to lose access to your employer-sponsored plan will also trigger a time-limited special enrollment period on your state's Affordable Care Act health insurance exchange (or for an ACA-compliant plan offered outside the exchange). You have a 60-day window to sign up, regardless of whether you're going to choose to continue your employer-sponsored plan via COBRA, or select a new individual market plan in the exchange (or outside the exchange, although ACA premium subsidies are not available if you don't buy your plan through the exchange). In the early days of Obamacare, the rule was that if you opted to go with COBRA, your special enrollment period for the individual market would end at that point, regardless of how many of your 60 days had elapsed. So for example, if your job-based coverage would have ended on June 30 and you elected on July 15 to continue it with COBRA, you essentially forfeited the final 45 days of the special enrollment period that you had for selecting an individual market plan. But that changed in late 2016. HHS realized that some people were signing up for COBRA during their exit interviews when they left their jobs and were doing so without a full understanding of how the individual market options and prices compared with maintaining the employer-sponsored plan with COBRA. So the rules were changed to allow people to still have their full 60-day special enrollment periods for the individual market, regardless of whether they accepted COBRA or not. The 60-day enrollment window for individual market coverage (ie, the kind you buy on your own, typically through the Obamacare exchanges, but also directly from insurers) begins the day your employer-sponsored coverage ends—or would have ended if you hadn't accepted COBRA. Even if you elect COBRA early in that window, you still have the full 60 days to opt instead for an individual market plan. This can be particularly helpful when people find themselves in a situation where their employer-sponsored plan ends in the middle of a month and they're in the midst of medical treatment. In that case, the earliest possible effective date for an individual market plan purchased in the exchange would be the first of the following month. But COBRA could be used to cover the remainder of the month that the employer-sponsored plan would otherwise have ended, and the person can then switch to an individual market plan if that presents a better value. Once the 60-day window ends, you no longer have an option to elect COBRA if you didn't already, and you no longer have an option to pick an individual market plan if you had opted initially for COBRA instead (you'd have a chance to switch to an individual market plan during the next open enrollment period, which occurs annually each fall, but the option to elect COBRA disappears altogether once the initial window ends). So it's important to choose wisely, as you'll be locked into your choice for at least a while afterward. But the relaxed rule for special enrollment periods in the individual market (when you also have access to COBRA) means that you can take your time and potentially change your mind, as long as you do it within 60 days. Can I Get an Obamacare Subsidy to Help Pay for COBRA? No. Both the premium tax credit health insurance subsidy and the cost-sharing subsidy available in the exchange (also known as the marketplace) can only be used with health plans purchased through the exchange. 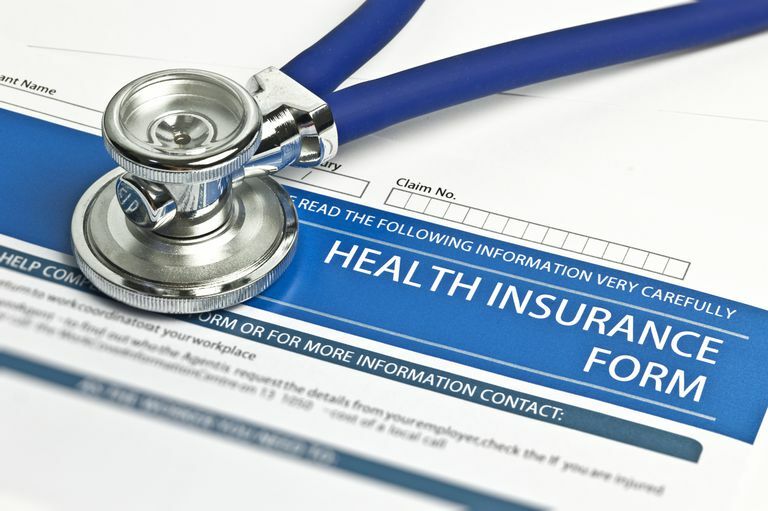 If you buy health insurance outside the exchange, whether it’s COBRA continuation coverage or other private health insurance, you cannot use an Obamacare subsidy to defray the cost. Does an Offer of COBRA Insurance Make Me Ineligible for an Obamacare Subsidy? No. Merely being offered COBRA doesn’t affect your ability to qualify for an Obamacare subsidy. But, to take advantage of the subsidy, you’ll have to forgo your COBRA coverage and enroll in an Obamacare plan through the health insurance exchange during your 60-day special enrollment period. You’ll also have to meet income and other requirements to qualify for a subsidy. If I Lose or Cancel My COBRA Coverage, Can I Still Get an ACA Subsidy? Maybe. Losing or canceling your COBRA doesn’t actually disqualify you from getting an ACA subsidy, but it may impact your eligibility to enroll in an individual market plan. Since you can only use the subsidy with an individual market plan purchased in the exchange, qualifying for the subsidy won’t help you at all if you’re not eligible to sign up for a plan in your state's exchange. If you lose your COBRA health insurance because your COBRA eligibility period of 18-36 months expired, you’re eligible for a 60-day special enrollment period in the individual market (the same as the eligibility period that applied when you were initially eligible for COBRA). You can enroll in a Marketplace (exchange) plan and apply for a subsidy during this special enrollment period. But if you voluntarily canceled your COBRA coverage or you lost it because you didn’t pay your premiums, you won’t be eligible for a Marketplace special enrollment. You’ll have to wait until the next open enrollment period to sign up for an ACA-compliant plan. During that open enrollment period, you may also apply for both the premium tax credit health insurance subsidy for those with incomes less than 400% of federal poverty level and the cost-sharing subsidy for those with income less than 250% of FPL. In most states, open enrollment for individual market coverage runs from November 1 to December 15 each year, with coverage effective as of January 1. There are a few state-run exchanges that have longer open enrollment periods, but they're the exception to the rule. When you first become eligible for COBRA, look carefully at your financial situation and research how much your COBRA premiums will be. Ask yourself if you’ll be able to afford COBRA premiums given the change in your financial situation caused by your qualifying event. Next, find out whether or not you’ll be eligible for help paying for health insurance you buy through the exchange. If you’re eligible for a subsidy, how much will you have to pay, after the subsidy is applied, for an individual market plan comparable to your current coverage? Would it be more affordable to purchase a less robust policy? You'll likely find options in the exchange with higher deductibles and out-of-pocket costs, but the premiums for those plans are also likely to be lower than the premiums to continue your group plan via COBRA. Compare your cost for subsidized individual market coverage with your cost for COBRA continuation coverage. Factor in your comfort level with your current health plan versus changing health plans, including things like whether your current doctors are in-network with the available individual market plans, and whether the drug formularies (covered drug lists) for the available individual market plans include the medications you take. For some people, COBRA is the better option, while others find that an individual market plan is the best solution. Before the ACA, people with pre-existing conditions sometimes found that COBRA was their only realistic option, as individual market coverage was medically underwritten in most states, and unavailable to people with serious medical conditions. But that's no longer the case. Individual market coverage is available regardless of the applicant's medical history, meaning that you can base your decision on things like price, provider networks, drug formularies, and customer service—your pre-existing conditions will be covered regardless of which option your pick. HealthCare.gov. COBRA Coverage and the Marketplace. United States Department of Labor, Employee Benefits Security Administration. FAQs About COBRA Continuation Health Coverage. How Will the GOP Tax Bill Affect Your Health Insurance? What's the Difference Between Medicaid and Obamacare? How Do Immigrants Obtain Health Insurance Under the ACA?